Made in the USA and sold exclusively through this website. 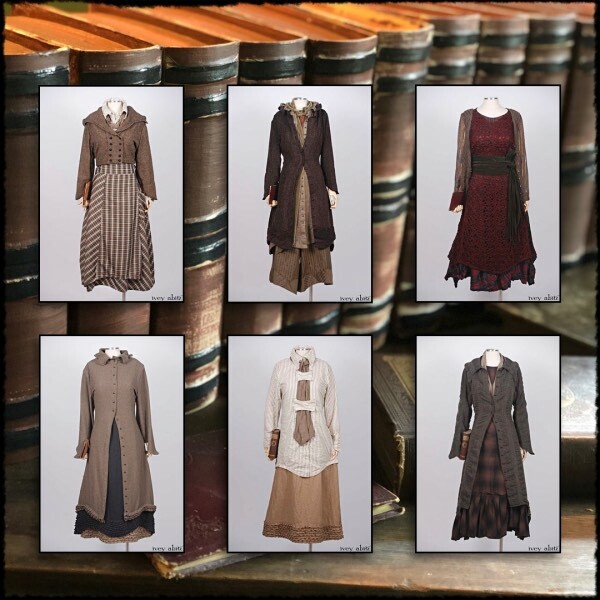 If you’re looking for vintage inspired women’s clothing, you’re looking for lifetime pieces with a sense of history. With their antique feel and modern appeal, Ivey Abitz designs are sought out by selective individuals like you who believe clothing has a transformative power and a meaningful impact on everyday life. Ivey Abitz clothing is exquisitely created by hand in the USA. Click below to find your favourite outfits in our Look Book. Cindy of Saturday Farm, Cape Cod, wearing her Ivey Abitz bespoke clothing. 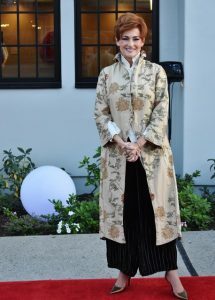 Carolyn Hennesy in one of her many Ivey Abitz clothing ensembles. 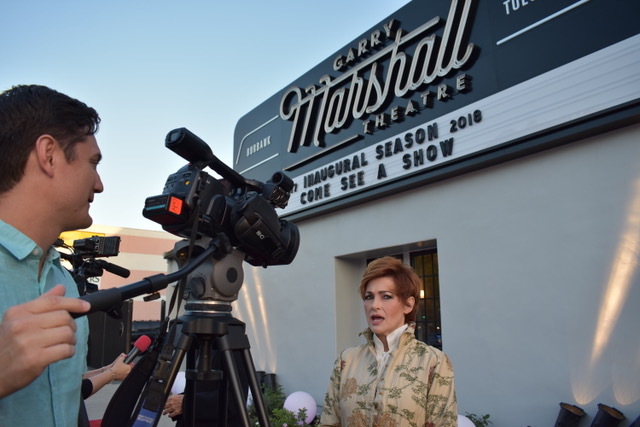 Emmy Winning Actress Carolyn Hennesy wears Ivey Abitz Bespoke in her daily life as well as screen and stage appearances. Carolyn loves her everyday IA wardrobe so much, she had us make couture gowns for her to wear while she hosted the Daytime Emmy Red Carpet show in 2018. We love making clothing for Carolyn because – like most Ivey Abitz clients – she knows who she is and enjoys being her authentic self. Cynthia and Josh Ivey Abitz in their winter office. We are Cynthia and Josh, a married couple who have been creating art together since 1994. We enjoyed making fine art and owning our own gallery, but we wanted to offer the world something even more personal. 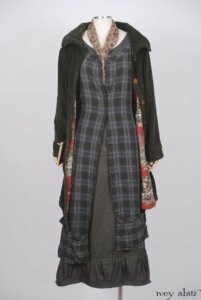 So we launched Ivey Abitz in 2005 with Cynthia’s clothing designs. Our passion for fine details and quality workmanship is apparent in each and every Ivey Abitz garment. From stitching to fabric selection, we obsess over the details, and so do our seamstresses. They love their craft, and we all love having Ivey Abitz made in the USA – New York, to be exact.